We design and manufacture the largest and technically most competent range comparable to leading Solid State Relays manufacturers worldwide. 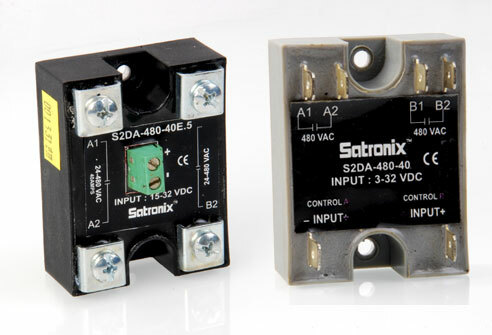 Satronix Dual Solid State Relay has two outputs controlled by two independent inputs. This allows engineers using multiple Solid State Relays in a panel to save space in many applications. 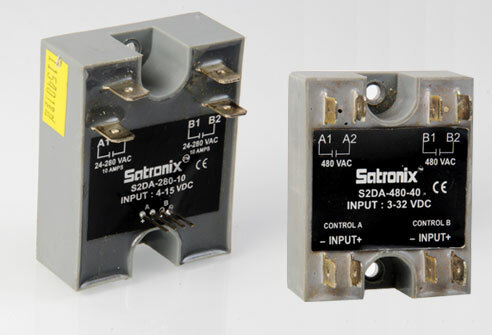 Fast-on termination suitable for rated load currents to 40 amps/ 530 VAC per channel is standard. Terminations for the input controls are either square pins or fast-on connectors.